THE TWENTY-FIRST DAY OF SEPTEMBER IN THE YEAR OF GRACE TWO THOUSAND AND SIXTEEN. The third international Rethinking Hell conference will be held on October 7th-8th, 2016, at the Highgate International Church in Highgate, London. Hosted by Justin Brierley, this will be an occasion for evangelicals to consider the case for Conditional Immortality, and the movement’s ongoing direction. This year, the theme of the conference is Conditional Immortality: Past, Present, Future. Plenary speakers will be Roger Forster, David Instone-Brewer, and Chris Date. The conference will be held on Friday evening and all day on Saturday (October 7th-8th). The Friday evening features a talk by Roger Forster, and runs from 7pm until at least 9pm. If you are unable to attend on Saturday you may attend Friday evening for free (however you must obtain tickets beforehand). Saturday begins at 10am and runs through an evening panel, starting at 6pm. Standard tickets for Friday/Saturday cost £20. However, the price is £15 if you order your ticket by August 21st, or any time for groups of 5 or more, or if you are eligible for a concession discount. Refreshments will be provided and lunch and an evening meal will be available for purchase either from the conference venue or nearby restaurants. Roger Forster graduated from St. Johns College, Cambridge, where he studied mathematics and theology. After a period in the Royal Air Force, he worked as an itinerant evangelist until 1974 when he established the Ichthus Christian Fellowship. Roger was one of the founders of March for Jesus, serves on the council of the Evangelical Alliance, and is an honorary vice president of Tearfund. Rev Dr David Instone-Brewer (B.D. 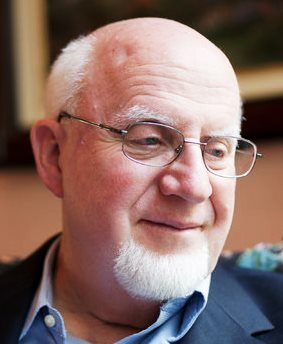 hons, Cardiff; Ph.D., Cantab) is the Senior Research Fellow in Rabbinics and the New Testament in Cambridge, UK. He works mainly in rabbinic background, non-academic cultural exegesis and digital resources for Biblical Studies. He is married with two daughters.